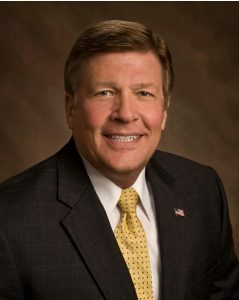 CLEARWATER, Fla. – The International Business Brokers Association (IBBA) announced today the election of Russ Bieber, Vice President of Sales and Training at Murphy Business & Financial Services, to its prestigious board of directors. The IBBA is the largest international nonprofit association established for professionals and firms operating in the business brokerage industry. Through the professional development of its members, the IBBA seeks to increase awareness of the business brokering profession by offering educational seminars, professional designations, networking opportunities and more. Bieber joined Murphy Business & Financial Corporation in 2012, having at that time 31 years of industry experience that included partnering in a mid-market size M&A boutique firm, managing a 12-person business brokerage firm in Tampa, Florida and owning and operating his own 10-person business brokerage firm for 14 years in Clearwater, Florida. Bieber now assists the Murphy Business franchise team by conducting training for new brokers, providing informational seminars for experienced brokers, managing four regional areas plus a franchise office for the company and supporting more than 180 Murphy Business franchisees across North America. Murphy Business & Financial Corporation is North America’s leading, full-service business brokerage firm with offices in both the United States and Canada. Offering entrepreneurs both regional developer and unit franchisee operating models, the Murphy Business home office supports both groups and their agents with extensive training, along with initial and ongoing marketing efforts that leave Murphy Business owners to focus on the most important part of their business – spending more time with their clients.